Alice in Chains joined the Revolution 3 tour, a co-headlining series featuring Bush, The Cult and Stone Temple Pilots, for a few shows as the primary draw and helped bring the masses along for a seven hour ride with some of the best in alternative rock music to the Sunlight Supply Amphitheater on Sunday just outside Portland, OR. In full disclosure, attending a music festival sounds more like torture than a rapturous endeavor into the world of live rock music. Although this Monsters of Alternative Rock (my slogan) didn’t exactly qualify as a music festival per say, it was a long day nonetheless but instead of sitting through, how shall I say it, less than polished acts for six hours before the hired guns take the stage, this show brought out legitimate headliners, albeit at smaller venues, to the large 18,000 seat amphitheater in a who’s who of bands that 20 years ago took college campus radio stations by storm. Stone Temple Pilots, The Cult and Bush each offered an album’s worth of material lasting about an hour with approximately 30 minutes in between sets. Alice in Chains delivered a full 19 song set taking about an hour and 40 minutes. So, let’s break down each in starting order. 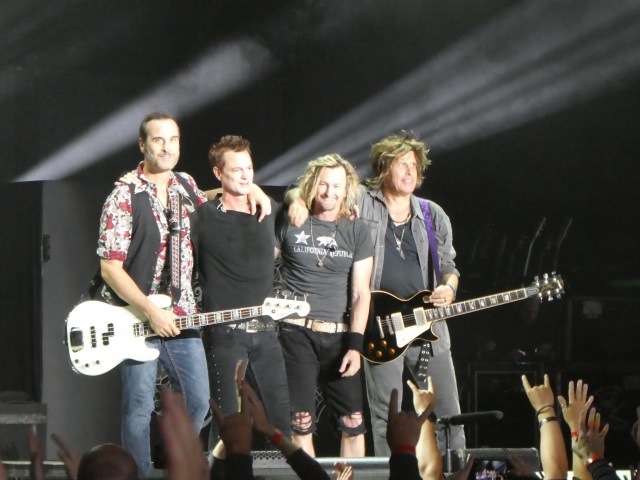 Stone Temple Pilots lost their voice in 2015 when Scott Weiland died leaving founding members Dean DeLeo, Robert DeLeo and Eric Kretz without much of a rudder. But they’ve since found one in Jeff Gutt who joined the band in 2017 and if you were none the wiser, probably could not tell the difference. From a distance Gutt resembles Weiland and vocally, well, you can’t get much closer. 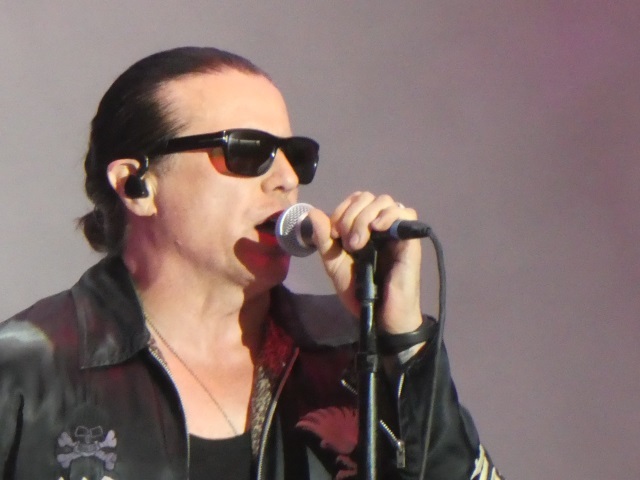 STP took the stage first opening with “Wicked Garden” and already Gutt resonates as a seasoned frontman – charismatic and fully taking a hold of the popular STP tunes like he owned them. The band followed with “Vasoline” and “Big Bang Baby” but it wasn’t until an astounding version of “Plush” one of four played off the group’s smash album Core that it felt like a passing of the torch, so to speak. It was just Gutt and guitarist Dean Deleo with a stripped down first half of the song before the rest of the band chimed in. You know how some bands cover someone else’s song and make it their own? 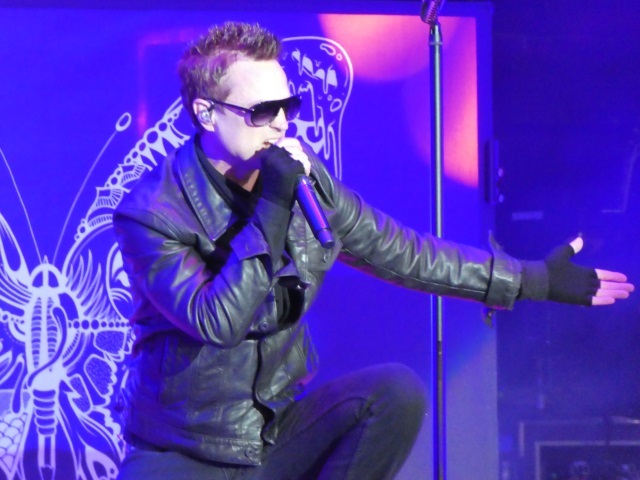 Well, in quite possibly a first, STP covered their own song and remade it their own as Gutt took charge and delivered a powerful rendition with the original band members in tow. Thereafter, it truly felt like STP was back, the band I probably played during every shift at my college radio station. They have their singer and their seventh album released earlier this year with Gutt, perhaps these titans of 90s alternative rock can find their way back on top of the heap. Just stay off the drugs and don’t act weird, OK? I saw The Cult a few years ago performing, obviously, a much longer set in but a much smaller setting. You forget just how great those “Cult” chords come across. The Cult exudes such sweetness to their tone that every time I hear those classics – “Rain,” “She Sells Sanctuary,” and “Fire Woman” – I wonder why they keep falling off my radar. Their 10 song set consisted mostly of the great radio staples from the 1980s along with a few deeper album cuts and “Dark Energy, the lone wolf off their latest Hidden City from 2016. 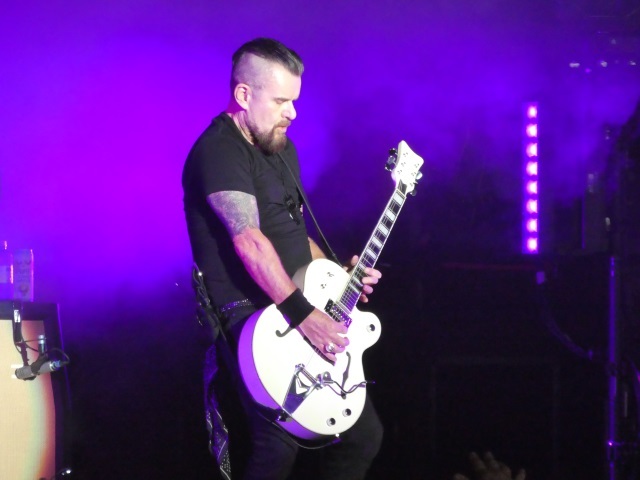 The Cult’s set was a bit overshadowed by Stone Temple Pilots and their new singer and then what followed when Bush took the stage and more or less wiped the slate clean. Simply, Wow. 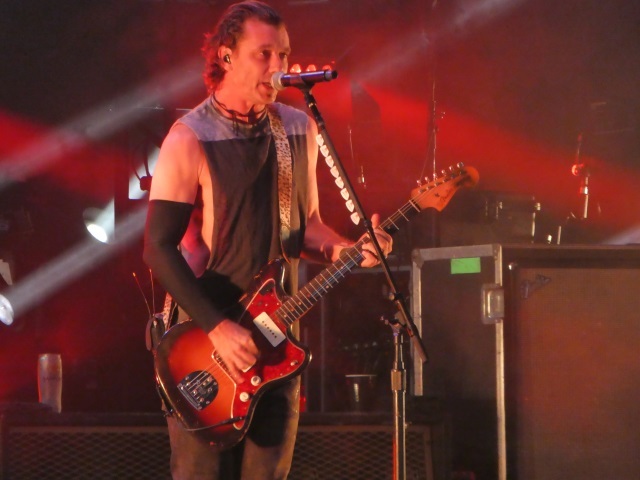 The most, it seems, Bush has done recently revolved around founder and lead singer Gavin Rossdale’s bad decisions when it comes to his personal life. Hey, I wasn’t going to mention Gwen Stefani but he did. Well, not directly, but certainly made a humble acceptance to how should we say it “mistakes” though he used a different word, but regardless, Bush ruled this evening. I never entertained the idea of seeing this band probably because they disbanded for nearly a decade before reuniting in 2010 but little did I know they have since released three records. I really wasn’t sure they were even together until this lineup was announced a number of months ago. Like lots of bands with a proprietary voice from the founder, the “original lineup” matters even less though purists will always wince a little. But just as long as Gavin remains Bush stays relevant. And he does, along with the drummer Robin Goodridge. Bush opened with their popular “Machine Head” and followed with the opener off Black And White Rainbows their latest released last year then ”Everything Zen” the second of five tracks from the debut smash Sixteen Stone . Rossdale introduced the radio and fan favorite “Glycerine” by dedicating it to those who have “messed up” (sanitized for your protection) and included himself in that group. He followed with “Little Things” and proceeded to leave the stage and immerse himself into the crowd, even visiting the lawn section as a mob of fans surrounded him and followed his every move. Somehow, someway, he and the rest of this band did not miss a beat. He kept singing as if he were simply on stage. An amazing performance overall capped off with the great “Comedown” and every song bested the original studio version. Something tells me Bush has an album in their future and a good one at that. Let’s get one thing straight. Alice in Chains may have started in Seattle and helped usher in the grunge era but these guys mostly bring straight up heavy metal. 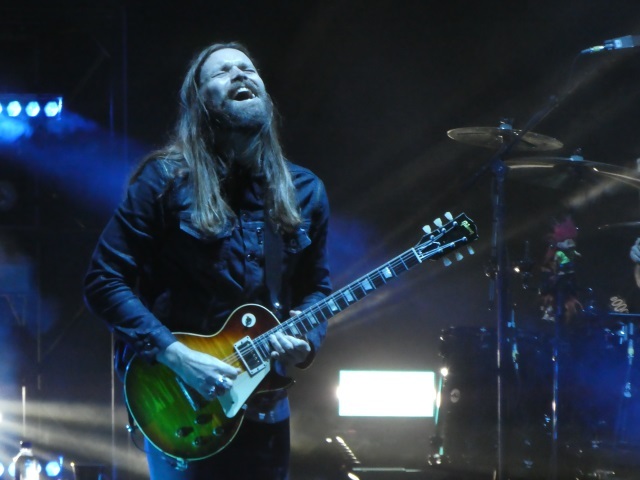 Remove those radio staple hits from the setlist and most everything else features thick, heavy guitar chords that belong alongside the fathers of the era. 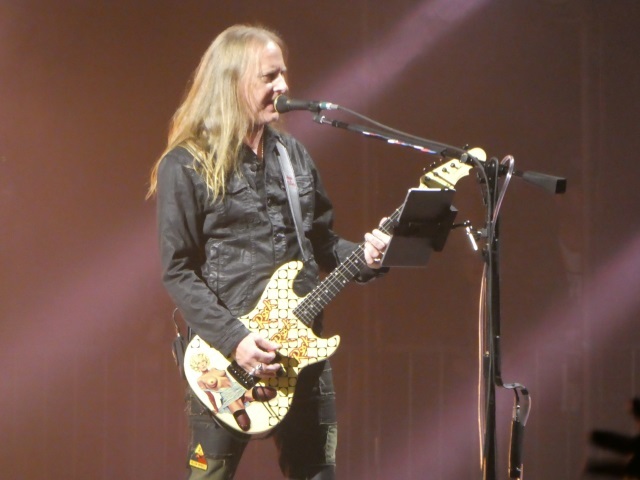 My only knock for Alice in Chains come with their seemingly regular use of what I call the hanging guitar note found on “Check my Brain,” the new song “So Far Under” and “Stone.” Otherwise, head bobbers unite, metal remains alive and well. 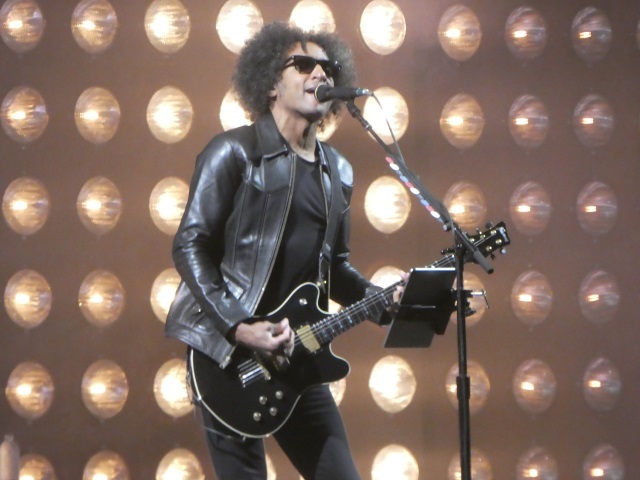 Alice in Chains also dropped Rainer Fog on Friday, their sixth album and third with singer William Duvall. Duvall, who replaced the late Layne Staley in 2006, sounds just like his predecessor and the harmonies with guitarist Jerry Cantrell work just as well, if not an exact match, most of the time. Alice showcased four off their new 10 tract album – “Never Fade,” “The One You Know,” “So Far Under” and “Red Giant” but left off the title track and “Fly” two of the best songs on Rainier Fog . They played six off their platinum selling Dirt from 1992. The iconic “Man in a Box” closed the main set and Alice encored with the new song “The One You Know,” “Got Me Wrong” off the 1992 EP Sap and finished the evening with solid performances of “Would?” and “Rooster” both off Dirt. I would have docked Gavin a full half a point for that silly arm apparel he’s wearing! Looks like a great show as all 4 bands stepped up that night! Lol. I did take notice. But he was on point. Hope they tour again.